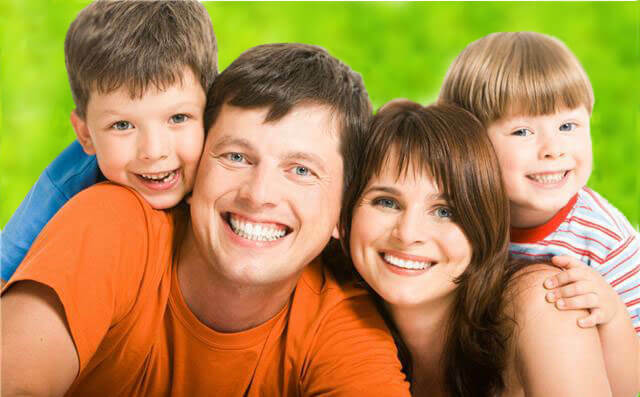 The orthodontist is trained in the highly specialized branch of dentistry called orthodontics. Orthodontics deals with straightening out teeth that are not in proper alignment( are rotated, tilted, etc. ), correcting bite problems, and aligning jaws. For the most part, this treatment is done to restore your mouth to normal health and function, but it can also be done for purely cosmetic reasons. Having properly aligned teeth that close together in the right way is very important to your general health, because it enables you to efficiently chew your good, and to the health of your mouth specifically because it makes your oral hygiene much easier. Anybody, at any age, maybe a candidate for orthodontic treatment. But when orthodontic problems are caught early, they are easier to treat, take less time, and are much less expensive. If you are a parent this means you should have your kids’ teeth checked out as soon as possible. Orthodontics for adults is no more difficult to do than for children, given the same situation, and no matter what you’ve believed in the past, you are never too old for it. However, as with children, the sooner you start treatment the easier it will be on your teeth and on your wallet. Every situation in orthodontics is different, so don’t compare your situation to someone else’s. If you are a parent, don’t worry about what another parent may tell you. Rather, find out from an orthodontist where your child stands in the scheme of orthodontic treatment.